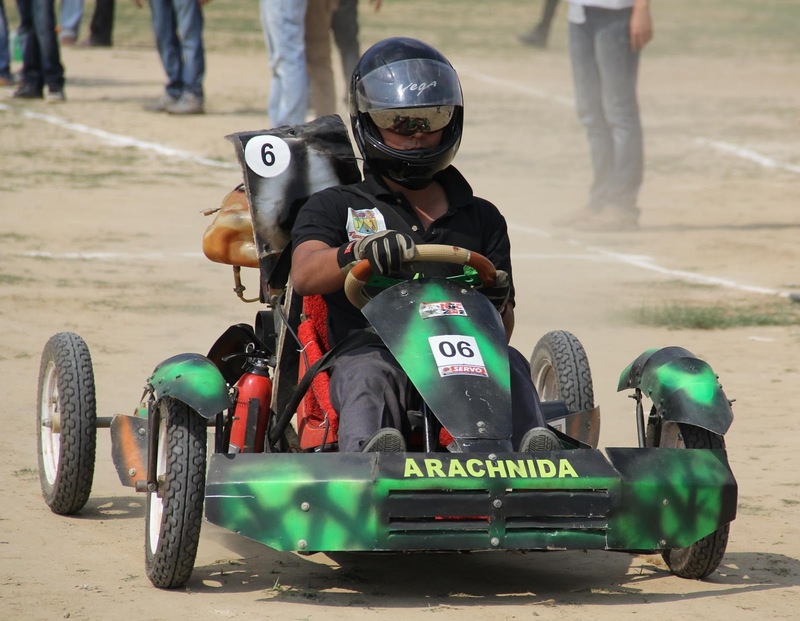 Jalandhar: With an aim to push students for innovative designing and fabrication in automotive sector, the Mechanical Engineering Department of LPU organized 3-Day national Go-Kart Championship at LPU Campus. Students from 20 educational Institutions from across India participated in the competition. Under this students had to design and fabricate a Go-Kart with specified mechanical description. The Go-Karts were then tested on various parameters including braking, acceleration, endurance, autocross and skid-pad test etc. It was then followed by a race of Go-karts. Each phase of the event was judged by engineers and owners from prestigious units related to automobiles like Indian Oil, Solid Works, 3D Collection and others. ‘Unicorn’ team from Bhopal stood Champion, whereas first runner up remained ‘KART Astrophe’ & ‘Screw Drivers’ as second runner Up. 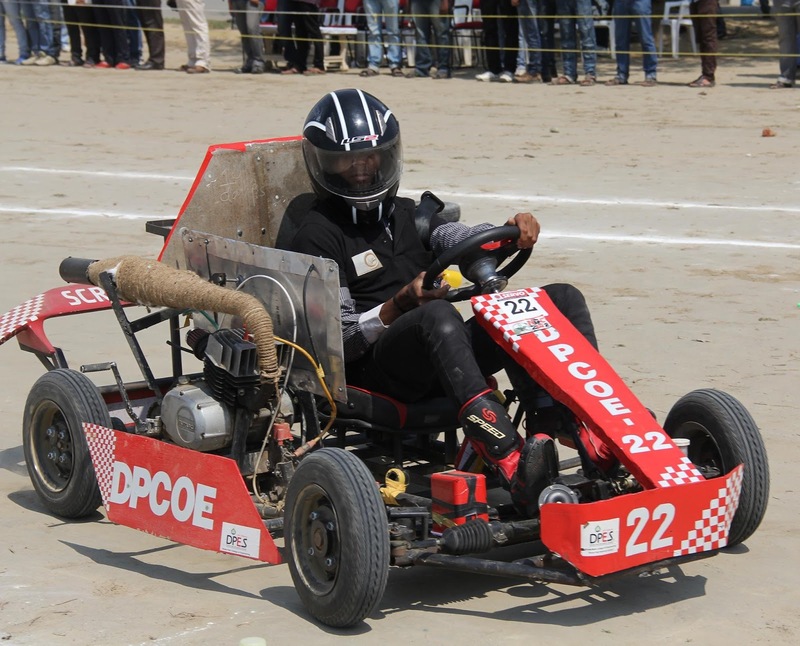 LPU SAE India Collegiate Club (LSCC), which is affiliated to Society of Automotive Engineers (SAE) India and SAE International, co-ordinated in conduction of the championship. While awarding Championship trophy and cash prizes to the winner-teams, LPU Chancellor Mr Ashok Mittal Informed: “This event gave an opportunity to work hands on in the area of automotive sector. Students not only learnt about various subsystems, working and designing but also gained how to work in a team. I am happy to note that the mission of the event to find an automotive industry engineer embedded within a student has been successfully accomplished.” The champion team was also awarded with Rs 30,000, whereas 1st & 2nd runners up received cash prizes of Rs 20,000 and Rs 10,000 respectively by LPU. Illustrative, SAE is a US based international organization which has collegiate educational technical clubs in premier institutions like MIT, Stanford, U C Berkeley etc. In LPU, this club is established by students of Mechanical Engineering. The club has a team of passionate engineering students, who have already proved their metal in motorsports. Results: Team Archnida was prized for Best Design, Ashwamegh for Best Innovation, Team X-Treme remained winner for Autocross and Skid-Pad tests and Auto-knights proved themselves for Endurance and Fuel Economy. The Top 15 teams wereUnicorn from Bhopal, Kart Astrophe (New Delhi),Screw Drivers (Pune), Ashwamegh (Jalandhar),Team X-Treme (Karnatka), Autoknights (BijaPur), Archnida (Tamilnadu), Rogue Racers (Phagwara), Team Pegasus (Maharashtra),GRYFALCONS(Kerala), AU-DYNMO(Annamalai),Super Nova Karting (Chennai), Rancors (Tamilnadu), Nitro Racerzz (Chandigarh) and the A-Team (Hyderabad). superb event . i am very happy to be part of this event . I really found excellent information here. Will eagerly wait for new content. Take home tuition in Chandigarh to get good marks.